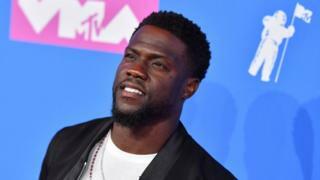 When he revealed that he would be host, Hart said it was the “opportunity of a lifetime for me as a comedian” and that “my mom is smiling from ear to ear right now”. Earlier on Thursday it had appeared he would try to ride out the storm. In an Instagram post he spoke out against the “negative energy” of the criticism, saying “stop searching for reasons to be angry”. He said he was almost 40 years old and was “in love with the man I’m becoming”. In a later video he said he had been called by the academy and asked to apologise or another host would be found. “I chose to pass. I passed on the apology,” he said, repeating that the issue of the tweets had been addressed in the past.